Ford Mustangs just down-right deserve the title of icon. 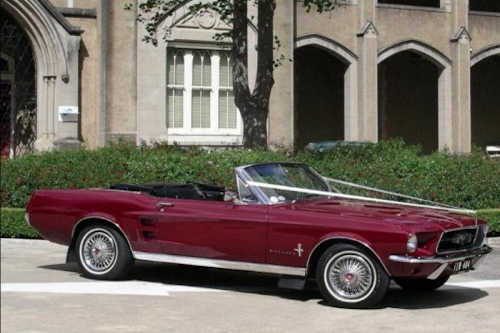 With Mustang wedding car hire, some of that ‘iconic’ can rub off on you! These cars are the ultimate muscle car in looks with a sports car dynamic. Powerful, yet smooth and responsive. Mustang wedding car hire may not be what your guests expect, but it will certainly make an awesome impression. Talk about timeless! One of the most iconic car chase scenes in movie history was in a Mustang GT. Driven by Steve McQueen through the streets of San Francisco in the 1968 movie Bullitt, the Mustang became synonymous with high performance horsepower. While arranging Mustang wedding car hire won’t let you recreate McQueen’s moment, you will definitely get to experience the power and performance of these cars as you drive to your venue. Despite changes since inception over 50 years ago, the Mustang has retained its reputation as a performance sports car with unmistakable American pride. Although other manufacturers have introduced vehicles to compete, the Mustang still holds that tangible difference. Today Mustangs are popular in a range of colours, but who can forget the oranges, greens and stripes of some of the classic Mustang models. While under the bonnet is all about performance, the vehicle has a premium overall look and feel. This means that you will still get that level of luxury appropriate for the occasion. Cool custom features inside the cabin will make your ride as pleasurable as possible. It’s a classic look for your wedding. Guests will hear you coming before they see you. 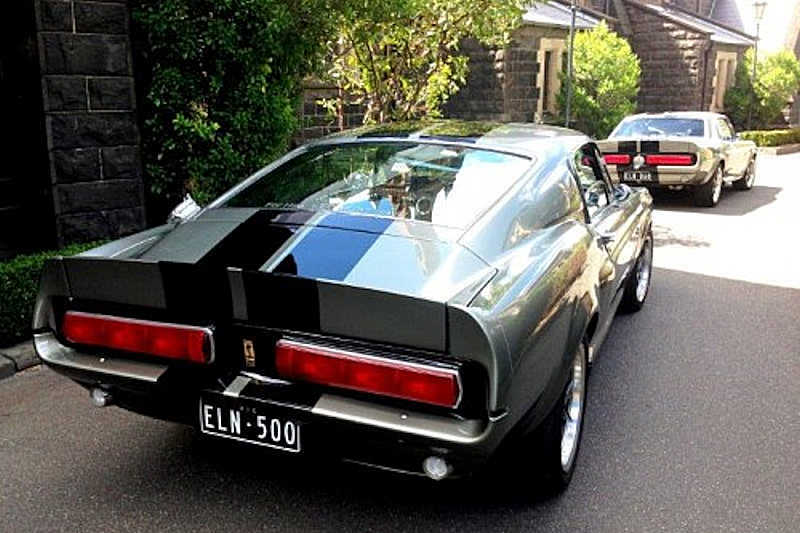 If you really want to announce your arrival at your wedding, then head over to the Victorian Wedding Car Association website to find about Mustang wedding car hire. We have a selection of members ready to help make your day even better. The only thing more exhilarating than arriving in a Mustang, will be you leaving in a Mustang! Get your Mustang wedding car hire sorted today.